Learnings from previous Trimester Reports have led me to believe that they are murderously long and should be broken up into at least 2 parts. Even that is too long. This time I’m breaking it up into 4 bite size chunks for easier consumption. This is Part 4. Given the Panthers had one of the hardest runs home of any team in the top 8, with fixtures against the Broncos, Roosters, Bulldogs, Storm, Sea Eagles and Warriors, 5-3 was an outstanding effort. This was even more outstanding considering the fact that they lost Tyrone Peachey (vying against Nathan Peats for the buy of the season), Peter Wallace (their best player until round 20), Elijah Taylor, Bryce Cartwright and Dave Simmons to long term injuries. Jamie Soward – I can never figure out why the media call him the ‘much maligned Jamie Soward’. Needless to say he was in the centre of anything good that happened to Penrith in the Final Trimester and has contributed significantly to their deep Finals run. I thought they would make the Finals but only just. They have overachieved by far what I expected. They received resurgent performances from Peter Wallace, Jamie Soward and Jamal Idris. Their pack was solid all year. Their recent recruits like James Segeyaro, Elijah Taylor and Tyrone Peachey lifted a gear and their star youth like Matt Moylan, Bryce Cartwright and Dallin Watene-Zelezniak are ahead of schedule as well. Probably the overarching factor is Ivan Cleary’s underrated ability to pull it all together. The Warriors will definitely be having seller’s remorse. I think the best thing that could have happened to the Panthers was the West Sydney Wanderers and the GWS Giants. Nothing like a bit of competition to shake off complacency. Hiring Gus was the next best thing after that. They are what the Wests Tigers would be if they could get their ‘back of house’ sorted out. I think they will be contending for years to come. It is good to see them relevant again. The Rabbitohs finally started to hit their stride in the Final Trimester recording a 6-2 record with losses against the red-hot Cowboys and premiership contenders the Roosters (which many thought was a preview of the GF). Their forward pack started muscling up against all comers and their halves started playing off the back of that. Experts questioned whether Adam Reynolds and Luke Keary could play at the same time. Needless to say, these questions were answered by excellent play from both players. If anything, Keary’s presence in the side spurned Reynolds on to greater heights. 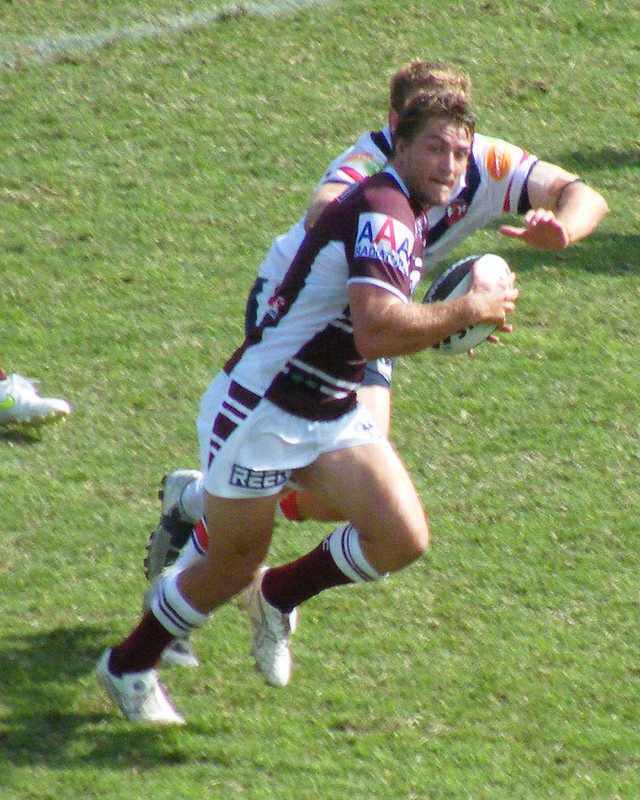 Greg Inglis was Greg Inglis and the finishers racked up the tries. No place could be found for Nathan Merritt on the back of outstanding form from Alex Johnston and the resurgent and injury free Lote Tuqiri. Adam Reynolds – Sam Burgess and Greg Inglis get honourable mentions for stellar form but it is the way that Adam Reynolds steered the Rabbitohs around the park that has impressed me. A prodigious talent, he is answering the critics who thought he may have peaked too early in his career. Missed by that much. 1 win out of the Minor Premiership, the Rabbitohs ultimately couldn’t make up for their slow start to the season. Given they are playing in the GF this Sunday I think they are probably peaking at the right time. The Rabbitohs have twice tripped at the last hurdle with pretty much the same side in the last 3 seasons so they will be greatly relieved to make the Grand Final. This side should continue to contend for a number of years. The spine is still in its prime (Adam Reynolds (24), Luke Keary (22), Greg Inglis (27) and Isaac Luke (27)) and could conceivably remain at its peak for at least another 3-4 seasons. Their forward pack is monstrous and they will lose only Sam Burgess and Ben Teo next year, although they are massive losses. They have Tim Grant and Glenn Stewart to offset those losses and they will continue to have the services of John Sutton and Chris McQueen in the backrow as well. They seem to roll out finishers every year. Alex Johnston is the latest in a long line of wings and centres they have produced internally (remember Andrew Everingham). Michael Maguire is one of the better coaches running around and every club wishes they had the financial and PR clout of Russell Crowe behind their club. They should be contenders for a few years to come. This team thrives on adversity. Despite having one of the hardest runs home (Warriors, Broncos, Rabbitohs, Eels, Panthers and Cowboys) they sported a very creditable 5-3 record. This despite constant issues with injury and speculation about disharmony between the administration and the player group over player retention for pretty much the whole season. DCE – I’m once again giving DCE the nod over Kieran Foran as the Trimester MVP. Foran is dynamic in his own right but I think he was narrowly shaded by DCE again. No great shame in that. Not far off. Probably exceeded my expectations as I thought they would be behind the Roosters, Rabbitohs and the Melbourne Storm in the pecking order this season. They have done especially well considering the injuries and speculated disharmony. After all of the ‘sky is falling’ news stories they are officially only losing Glenn Stewart (Rabbitohs) and Jason King (Retirement) next season. There is speculation that Anthony Watmough is off to the Parramatta Eels and quite a few other players have allegedly sought releases but the bottom line is the nucleus of this side is still going around again. They have one of the best spines in the game with DCE, Kieran Foran, Brett Stewart and Matt Ballin. Probably, if anything, they have looked a little thin in the forwards. Injuries certainly haven’t helped. They have unearthed some promising outside backs in Tafua (high ball training for him this off season) and Hiku. I think they will reload and go again. Peaked at the right time of the season (remember I’m critiquing the regular season and not their Finals losses against the Panthers and Rabbitohs and win against the Cowboys) jagging the Minor Premiership with a 7-1 run home (losing only to the resurgent Knights). Looked to have all their guns firing at the right time. Pearce and Maloney looked to have benefitted from their non-selection in the State of Origin and they had weapons right across the park, especially in the forwards. Mitchell Pearce – Really lifted in the back half of the season with his running game particularly deadly although his passing and kicking game wasn’t far behind. Probably thought the Rabbitohs would nab the Minor Premiership off them but that wasn’t to be. I thought that the weight of being the defending Premiers might be too much for them but they were able to cobble together a decent campaign. Thought they would be more affected by Origin but fortunately for them that wasn’t a big issue. Questions will abound post-SBW and the loss of Anthony Minichiello won’t help in terms of experience but they have retained the bulk of their squad and have ready made replacements via their depth (though both are irreplaceable). Might be an issue for other coaches but I think Trent Robinson will have enough to work with still. Can’t see them dropping too far off the radar. JT and Jarryd Hayne sharing the Dally M. Fair call. It was hard to split them all year. The Sydney Morning Herald is currently running a poll asking which team is running second behind the All Blacks as the best Rugby Union nation in the World. It is currently tracking as follows: South Africa 66%, Daylight 14%, England 8% and Australia 7%. Just cracks me up that Daylight is the third best Rugby Union nation in the World. I guess Daylight is the second best Rugby League nation in the World. Come to think of it, Daylight is the second best Basketball nation in the World as well. Daylight is awesome. Book your tickets, David Villa has arrived for City (I think we are contractually obliged to call them that now). The fixtures he should be involved in are as follows: vs Sydney FC (away) on Saturday, 11 October; vs Newcastle Jets (home) on Sunday, 19 October; vs Melbourne Victory (away) on Saturday, 25 October; vs Adelaide United (home) on Friday, 31 October; vs Brisbane Roar (away) on Saturday, 8 November; vs Central Coast Mariners (home) on Sunday, 16 November; vs Sydney FC (home) on Saturday, 22 November; vs Wellington Phoenix (away) on Sunday, 30 November; vs Brisbane Roar (home) on Sunday, 7 December; and vs West Sydney Wanderers (away) on Saturday, 13 December. Hopefully he generates Frank Lampard type conversation about trying to get him to stay. Brawls at the Intrust Super Cup GF – Just uncalled for, especially at that time of the game. Greg Inglis – Run Metres – 134m, Tries – 2, Try Assists – 0, Tackle Breaks – 5, Tackles – 5, Offloads – 0, Line Breaks – 1, Line Break Assists – 0, Errors – 1 and Goanna Celebrations – 1 (BTW can’t get enough of the Goanna Celebrations). The Rabbitohs have been absolutely dominant in the Final Series coming through the tougher half of the draw. The Roosters were dominating them physically and territorially in the first 15 minutes or so but Ben Teo’s injection into the game provided a momentum swing that changed the game. The hits were absolutely brutal but Souths managed to wrest the middle of the field back off the Roosters never to surrender it again. Reynolds, Keary and Inglis were able to play off the back of that. Conversely, the Bulldogs (through no fault of their own) had the draw open up for them and Manly will be ruing the lost opportunity. No-one is writing the Dogs off, especially with a coach like Des Hasler. They have an honest pack with plenty of mongrel (pun only intended a little bit), gritty halves and a back line that can punish the opposition on its day. If I was a betting man (which I’m not – otherwise on this season’s tips I would be a much poorer man), I would say Ennis will play (for his sledging alone). This will go one of two ways (that sounds blatantly obvious but hear me out). I can see the Rabbitohs dominating this game like the Dragons did in 2010 without giving the Bulldogs even a sliver of hope, however, if the Dogs get a sniff this could become a grim struggle commensurate with the importance of the game. The Bulldogs will be looking to make it close and see if they can jangle the nerves of the long suffering Bunnies fans and players. Apart from their round 1 victory over fellow relegation candidates QPR, Hull has not tasted victory since (although they have 3 draws to go with their lone win). As was adequately demonstrated against City last week they have no problems scoring goals (with Diame (2), Jelavic (3) and Hernandez (2) their most prolific so far this season) but they ship as many (if not more) than they score. Palace on the other hand have improved out of sight since the shock resignation of Tony Pulis, especially since Neil Warnock has taken over, winning or drawing their last 4 League matches (against Newcastle, Burnley, Everton and Leicester). Palace are hard to break down (although Newcastle and West Ham would both beg to differ). They certainly play a defensive style of Football but I think the Tigers will do enough to get across the line in this one, especially at home. Leicester are looking to emulate Hull and Palace from last season with a successful return to the top flight and have accrued 8 points already with their win against listless Man U the highlight so far. They could be as high as 7th place with better goal difference but it is early days. They will be looking to bounce back after last week’s loss to Palace to maintain the momentum of their campaign. Burnley on the other hand have struggled in their return to the top flight. They have been fairly tight defensively (particularly at home) but their attack is moribund, scoring only 1 League goal so far this season. Basically Leicester are a better side and they will show that this weekend. I expect Leonardo Ulloa to fill his boots again. Liverpool have been up and down all season so far and will be looking to put the Baggies to the sword, if possible. They will be particularly frustrated with their performance against Basel in the Champion’s League. That set piece from Steven Gerrard last week was the bomb though. The Baggies are coming off their best performance of the season but I think Liverpool will have too much quality for them. Boy do they miss Sturridge though. Sunderland are desperate for a win (as is most of the North East come to think of it, even Hartlepool in League 2 is struggling) but Stoke are too cagey to let this one slip away. Stoke were dangerous on the counter against Newcastle (aren’t they always) and looked more like the away team (which didn’t seem to worry them). Peter Crouch is returning to his mid-career dominance in the air (although his goal celebrations need some work). Moses looked very dangerous down the left. I’ve almost talked myself into a Stoke victory but I’m going to stick with the draw as the more likely outcome. After winning their first 3 games of the season (and doesn’t that victory against Man U look less glamorous now), they’ve come thudding back to earth with losses against Chelsea (4-2), Southampton (1-0) and a draw against Sunderland (0-0). Cut to all Fantasy Premier League Team owners who jumped on the Swansea midfield bandwagon early, nodding grimly. A game against the Geordies should be just the tonic. What can be said about the Geordies? It can’t be said that the team is imploding but the pressure must be almost unbearable. They need a glut of goals like no other team (except Burnley who can only dream of netting 5 goals for the season so far). The game against Stoke was typical of their season so far. They dominated possession (or at least seemed to) but frustratingly could not create anything in the attacking third. Their brightest period of attacking play this season was the cameo by Rolando Aarons against Palace but he is out injured at the moment. Alan Pardew has mentioned shaking up the squad this weekend and will need to do something to save his team’s season. It is early days but they have much to do even to finish mid-table at the moment. That is a long way of saying I don’t think the pressure on Pardew will ease this weekend with Swansea good enough to prolong his misery. Villa are another team that have come screaming back to the pack in the last 2 rounds but this is more about who they played rather than anything else (their victory against an inconsistent Liverpool their marquee win of the season to date). Their last 2 games have been 3-0 thumpings from Arsenal and Chelsea and they finish off the challenging part of their schedule against a City squad desperate to keep the gap between themselves and Chelsea manageable. The season is only young but Chelsea have opened up a 5 point gap already. Not that Man U needs the money (their transfer market splurge this summer will tell you that) but if they ever wanted to enter the soap opera market they would certainly challenge EastEnders for the top spot. This week on Man U – Who will replace Rooney?, Will Man U field a team entirely comprised of midfielders? and will Van Gaal pull them all together and return them to glory or is this David Moyes 2.0? Will the shadow of Alex Ferguson ever subside? It is fair to say that Everton on the other hand have also underachieved (much the same as their Merseyside rivals). They’ve looked lively moving forward but they’ve shipped goals at an astronomical rate of 2.3 goals per match (which won’t be lost on their supporters) and desperately need to tighten up if they want to resemble the squad from last season. I’m picking Man U with no confidence this week. It will riveting to watch anyways. This will be the match of the round and probably Arsenal’s chance to stamp themselves as the third contender in what appears to be a 2 horse race. Having said that, it is highly unlikely that the Gunners will be able to achieve this at Stamford Bridge, although there is some doubt that Diego Costa will back up after his Champion’s League showing midweek. Even without Costa, Chelsea have World class talent right across the park. It should be a classic match up but I think Chelsea are too good at this stage. Spurs have been a little disappointing this season so far and will be looking to put Southampton back in its place. Whether they can do that is another story as Southampton has continued to defy the critics this season despite being pillaged during the transfer window (I will have to stop mentioning that soon as I’m starting to sound like a broken record). I think Tottenham will be too strong at home but Southampton will make it interesting none-the-less. Hammers will do well to finish mid-table this season. QPR will do well to avoid relegation. Enough said. This entry was tagged Australia, England, EPL, Football, NRL, Rugby League, Soccer. Bookmark the permalink.